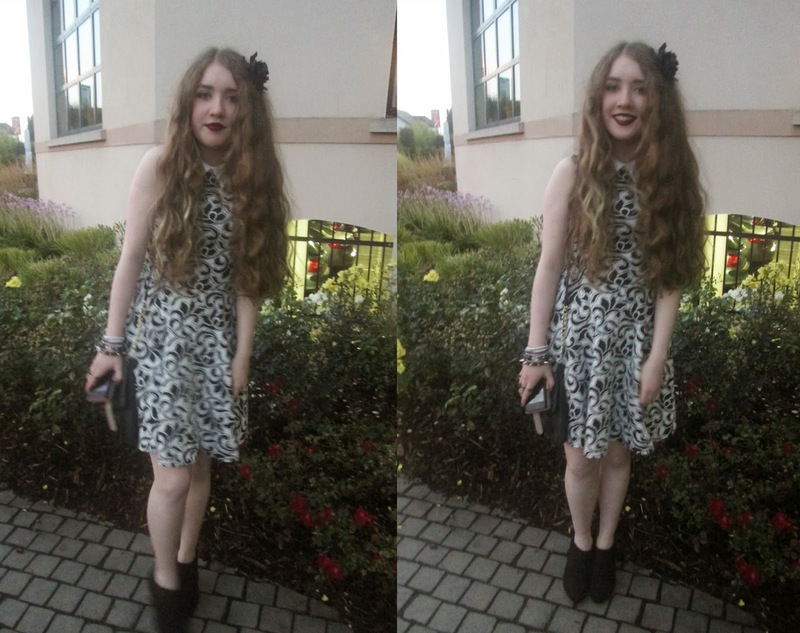 On Saturday, I attended the Blog Awards Ireland - something my mam and I had planned on going to for months so you can guess how much more excited I was when I found out that I was a finalist in the Best Youth Blog category ! Despite running late to the reception - shock horror what's new - we actually made it on time before the awards began. My favourite thing about the evening was getting to meeting bloggers Áine, Jess and Zoe who were as lovely offline as they are online ! The evening, which is the first blogging event I have attended was brilliant although I didn't find the MC very amusing and it's a shame because without the offensive jokes, he may have been funny. At each table there was a giant Rubik cube with pretty lights inside it and so, as typical bloggers, we all had to take a photograph of this beautiful object ... Which turned out to be more than a pretty thing, but part of a competition ! Since the event wasn't exactly early in the evening, neither was the lovely food so whilst waiting (both patiently and impatiently.) mam and I ended up snacking on Skittles and I probably shouldn't tell you the amount of sweets and general junk food I ate over the weekend - who knew Burger King sold veggie burgers ? I've finally recovered from no sleep (thank you rowdy people outside for keeping us awake all night xxxx.) (I hope nobody thinks I'm being sarcasm.) and on a final note, congratulations to all the winners on the night and thank you to the judges of the blog awards for making Dainty Sprinkles a finalist - I am extremely grateful ! Thanks a million :D !